i can't find Nokia N900 on Nokia' official website anymore. is Nokia trying to remove N900 from their portfolio? 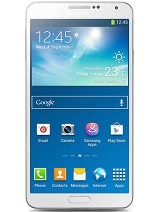 thinking of buying this phone!! or i'll face prbs after buying? ebol barker, 25 Jan 2012My N900 is restarting it self again and again what could be the reason, should I change my bat... morecorrupted software, maybe it can be fixed with a PC with Nokia softwareupdater. Maybe you can reinstall it that way. All data could be lost. No it doesnt have mobile microsoft office, but it has full OpenOffice! Its unique, the most powerful office ever on a handheld. I got screenshots of my N900 running OO Write and OO Calc at the same time, multitasking them. You cant do that one any other device, not even close, N900 will forever be the only one. Cad? Thats a professional thing, most ppl dont need, im guessing you dont need it also but you saw an ad on Facebook about the new CAD app fro android right? So you wanna pretend you need that one. radhesh, 25 Jan 2012can i instal office doccuments, word, excel, power point and pdf like? pl reply.1. It is not equipped with Microsoft office. 2. It is not equipped with mini Autocad. 3. It is not equipped with MMS. Otherwise it is an excellent device. radhesh, 25 Jan 2012can i instal office doccuments, word, excel, power point and pdf like? pl reply.Dataviz has a program called "documents to go" I purchased it and have it for my phone. It offers word excel and pdf. I don't know if it is available anymore. You have to contact them. can i instal office doccuments, word, excel, power point and pdf like? pl reply. My N900 is restarting it self again and again what could be the reason, should I change my battery? HELP!!!!!!!!!!!!!!!!!!!!!!!!!!!!!!!!!!!!! AnonD-39261, 24 Jan 2012can i install apps in NOKIA N900 like NOKIA N8? from which site?as i've seen nothing in ovi s... moreyou will find all app u need in app.manager(download). can i install apps in NOKIA N900 like NOKIA N8? apps like operamini,call block,angry bird,racing games etc. can i install software'e on my n900? The N900 is great ! Its highly adjustable and its open source , but it rather for the advanced users .Im using it for 1 year and the n900 is doing great . Its been a hard 15 months since i gave up my N900, much of the reason that i had to let it go was that the browser could be slow at times and the maps was super slow. So i changed to android QWERTY fphones, first a HTC and then Xperia. But it was not satisfying at all, coming from N900 i was used to that things work as expected, and was also used to do advanced stuff. ANdroid just doesnt work well enough, too unstable and too low quality apps and too much ads and so on and on. N9 is so far satisfying, it works and i had no unstable behavior except for the webbrowser. Theres no denying that N9 has a weak browser, but all in all its much better than Android. N9 has some of the experience that made N900 great, with developer mode activated i can surely recommend N9 as a replacement for N900. It has the linux feeling, its good. If you worry about keyboard then dont, onscreen keyboards will never be great but N9 is the best i tried so far, excellent feedback when typing, good calibration, im surprised how fast i can type on this one. Im expecting 64Gig N9 to drop in price very soon, the 16gig version is already silly cheap. i wanna buy this set!! 1.can i watch videos full screen? i mean can i fit the videos on 3.5inch screen? 2.is there any problem after installing ANDROID on it? 3.can't i use this phone on portrait mode? Dev, 18 Jan 2012Whats the battery back up of this handset i used 1 hour internet on this handset its full char... moreI have shipped those batteries to the address you have email to me. You should receive the package in 10-15 working Days.